We cannot be bought. We will always put patients before corporate profits. And we depend on you. Make your year-end donation now. Thank you so much for your support! Happy holidays from your feisty friends at Breast Cancer Action. 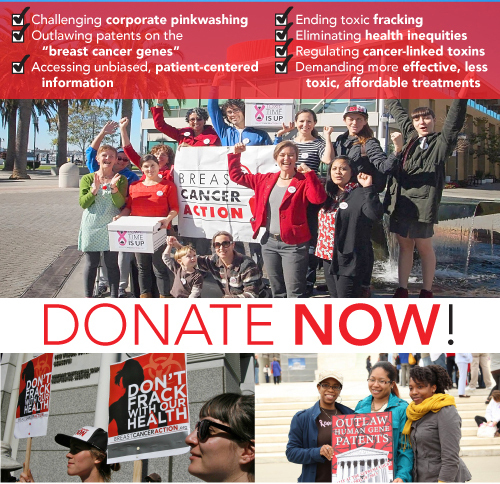 ← Make Your Year-End Donation Today!